I’ve read dozens (hundreds?) 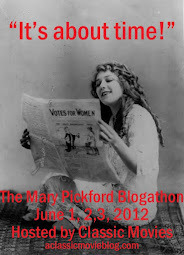 of Hollywood autobiographies and Fay Wray’s memoir On the Other Hand has always been one of my favorites. The sense of wonder and fun she found in life, despite all the hardships she’d been through was such an inspiration to me. Despite a few juicy moments and some minor scandals that were thrust upon her, she somehow comes off as a wide-eyed innocent, always open-hearted and ready to experience something new. 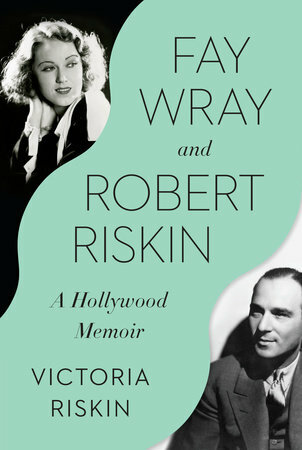 One of the things I liked best about Wray’s book was her memories of her second husband, screenwriter Robert Riskin. After a confusing and traumatic first marriage to screenwriter John Monk Saunders, she found in Riskin stability and warmth that was new to her. It was lovely to read her memories of being happily surprised to find someone who was there for her whenever she needed him. She also shares charming memories of evenings spent with their three children playing games and enjoying being together. When I found out one of those beloved children, the youngest daughter Victoria, would be writing a dual biography of her parents, I was thrilled that I would get to hear that story from her point of view. A writer and producer herself, Riskin is well-suited to the task of telling her parents’ story. She skillfully combines memoir and biography in an immensely touching story full of joy and tragedy. In the first part of the book, Riskin alternates telling the individual stories of her parents’ story chapter-by-chapter. Then she slowly brings them together in her narrative. When Riskin and Wray finally connect, it is so joyful that it’s almost unbearable to see them parted again due to an illness that took Riskin too soon, but Victoria always finds the healing love at the core of the loss she and her family endured. I especially liked Riskin’s memories of her mother’s final years, where Wray had health problems of her own, but clearly enjoyed every moment life had to offer her. It’s heartening to know that the actress was always surrounded by loved-ones and well-remembered and appreciated by the movie-going public. Also clear is Victoria’s love and admiration for her mother, who despite the schedule she was forced to keep as a working actress, was devoted to her children and gave them all the love and support they needed to thrive, an undertaking that must have taken phenomenal strength. I thought Wray’s book was all I needed to hear of her story, but in telling her parents’ story, Riskin expands the narrative in a way that fully reveals the strength of both of these remarkable talents. It’s also so well written that I was sad to reach the final pages.